Summertime in Buffalo just keeps getting better. One of the best and most inexpensive activities to do this summer is outdoor movie watching. 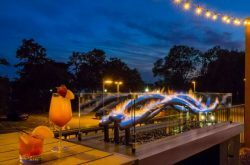 Places like Canalside, Delaware Park, restaurants and more are all hopping on this popular trend. Most of the places listed are free so go ahead and save a few bucks and enjoy a great flick under the stars. Whether you visit a classic like a drive in (please blast the Grease soundtrack on your way there) or opt to try out a free movie in a park, make sure to visit at least one of these movie venues this summer. Seriously what doesn’t Canalside have? 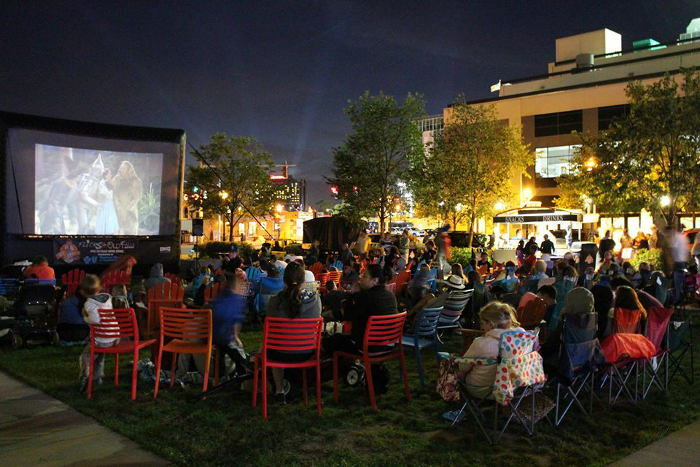 Add movie night to your long list of Canalside festivities to attend this summer. 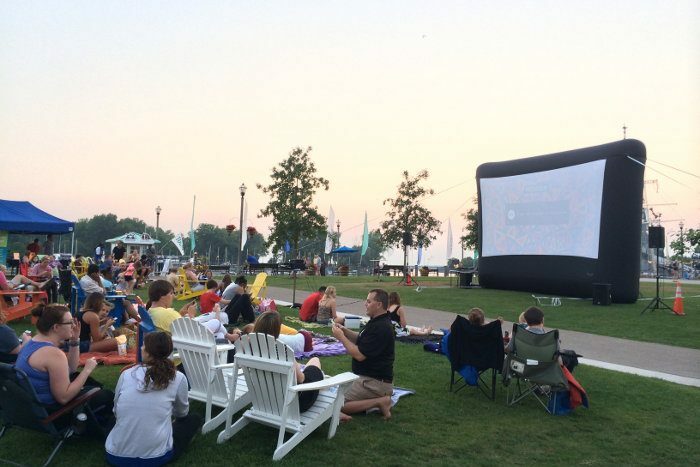 Every Tuesday, Canalside presents a movie on a large inflatable screen, overlooking the lake. It doesn’t get more #Buffalove than that, folks. Bring blankets, chairs and snacks for your cozy outdoor movie night. Beginning on the first Friday in August, The Parkside Community Association shows a movie in the park every Friday. These movies are PG, family-friendly and free! Bring snacks, blankets, and chairs. The lineup has not been announced yet. When: Every Friday night in August and the first Friday in September. Movies begin just after dusk. Artpark, a popular concert venue located in beautiful Lewiston, will be holding two family movie nights this summer. Bring the children or just embrace your inner child and enjoy the movie under the stars. The movie plays on a jumbotron overlooking the Niagara Gorge. Picture this: a gourmet candlelit dinner in an adorable courtyard, with a glass of wine and a classic movie playing on the screen. At Bacchus, make this daydream a reality. With an impressive lineup of dates including 19 different movies, you are sure to find one your friends or date will love. 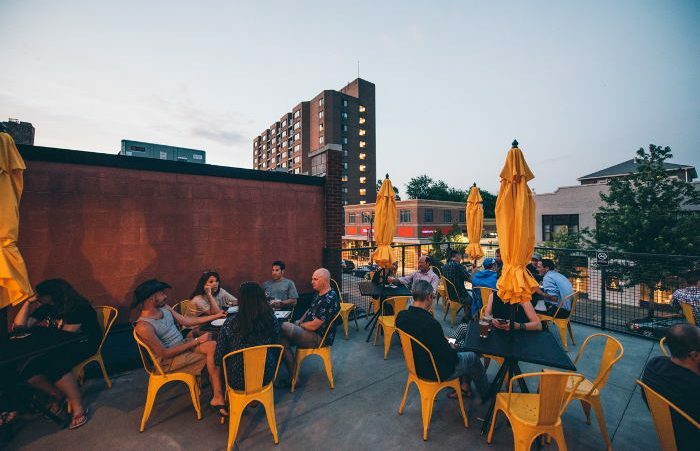 Visit the historic Old Falls Street in Niagara Falls for a family-oriented outdoor movie night. The movies play on a 20-foot long inflatable screen and there is even a DJ playing kid’s karaoke before each showing. 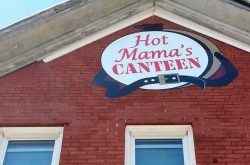 Here is a creative one: join fellow brunchers at Thin Man Brewery on Elmwood for a themed brunch of some of your favorite movies. On a large projector screen upstairs, watch classics like The Breakfast Club and Star Wars. Do one better and dress according to the theme as well. Catch a movie every Friday night in July and August at gorgeous Hamlin Park. Most features are animated, bring chairs and blankets, and light concessions will be available. This is a one-time affair, but one you’re not going to want to miss. Catch a showing of Star Wars for the Bisons’ movie night while sitting on the field or in the seating area. Bring a blanket and your best Yoda impersonation. 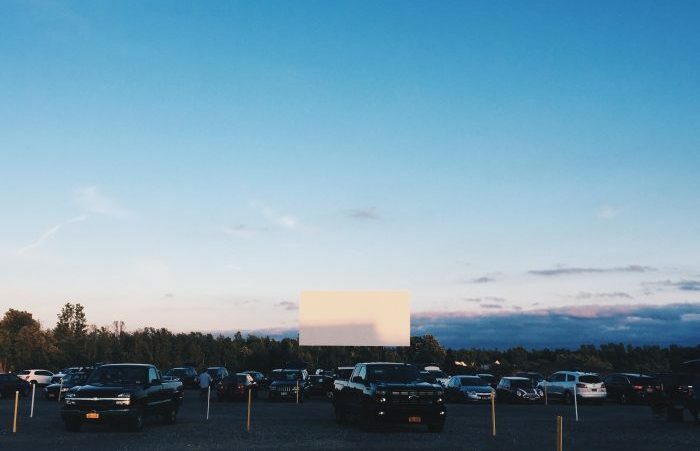 The Transit Drive-In is a WNY staple. 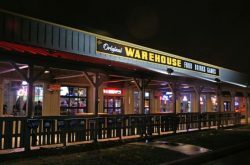 Not only does it have a centralized location, but it also has four movie screens and it’s open seven nights a week, rain or shine. Catch new movies like Wonder Woman and Guardians of the Galaxy, or catch old movies on their Retro Movie Tuesdays. Some of the classics include The Breakfast Club, Rocky and Dirty Dancing. Oh did I mention there’s a miniature golf course? Sounds like the perfect summer night. When: Every night (rain or shine). Box office opens at 7 PM on Fridays and Saturdays, 8 PM on Sunday-Thursday. Movies begin as soon as it gets dark. Cost: Admission is 9$ for age 12 and up, 4$ for age 5-11, free for children 4 and under. 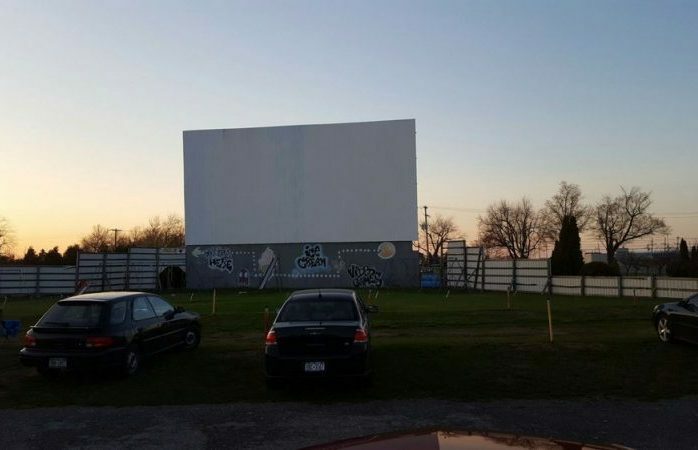 This Drive-In, located in Middleport, will make you feel like you’re straight out of Grease. 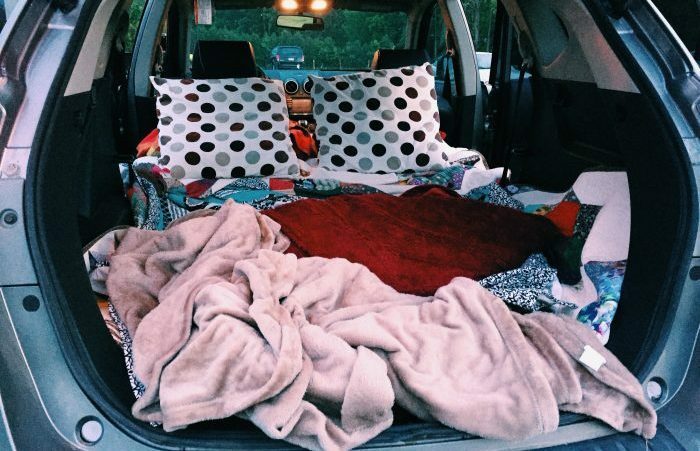 Surrounded by trees, the best part about this drive-in is that you can lay your blanket out on the grass and since it’s located in the country, you can see all the stars. Visit the concession building, that honestly has not changed since the 50s in the most charming way, for even more vintage vibes (and an amazing snow cone). When: Friday-Sunday (rain or shine). Movies begin as soon as it gets dark, just around 9 PM. Enjoy a free, outdoor movie every Wednesday starting July 12th through August 16th at Broadway Driving Range in Depew. This one is great for the kids, as there will be a pajama party with prizes. Chestnut Ridge, located in Orchard Park, is a beautiful park and one of Western New Yorkers’ favorites. Catch two Disney classics; Ratatouille and Beauty and The Beast.